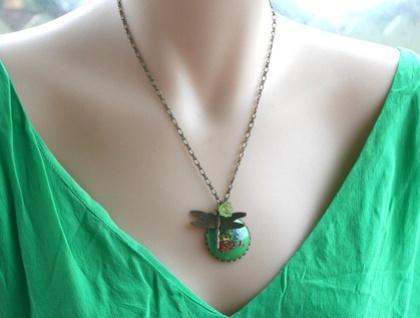 This cute kelly green pendant features a large 28mm vintage cabochon with a bright and fun floral decal that has been set into a brass bezel. 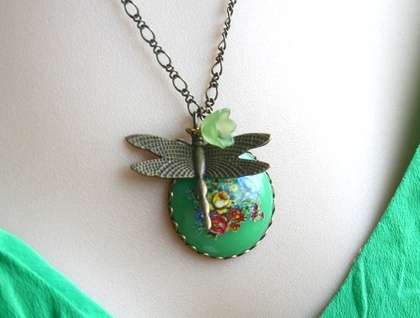 An antiqued brass dragonfly pendant dangles whimsically in front, and is highlighted with a tiny acrylic apple green bellflower charm. 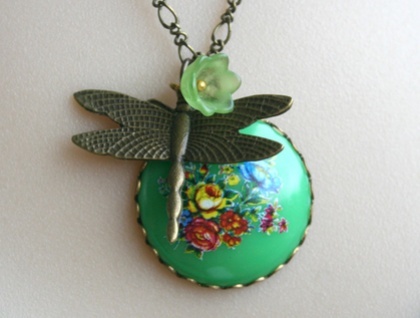 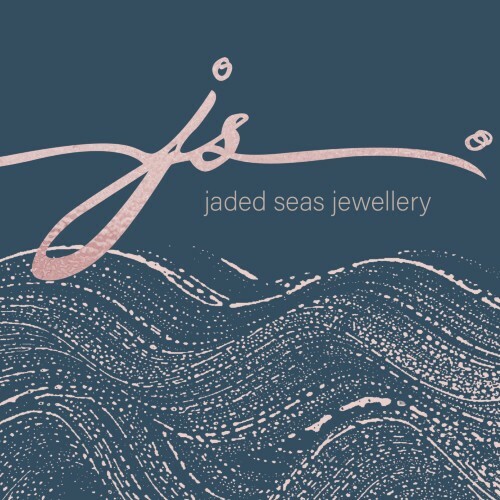 The pendant hangs from a fine brass chain that is approx 50cm long.